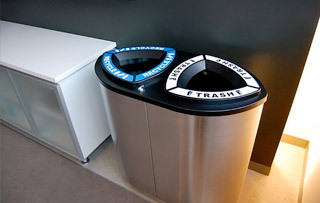 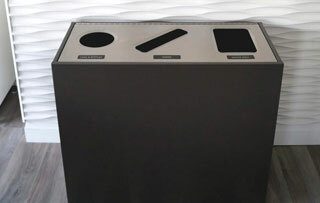 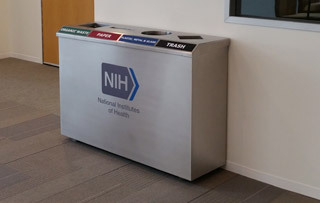 Our commercial recycle bins are ideal for indoor and outdoor locations. 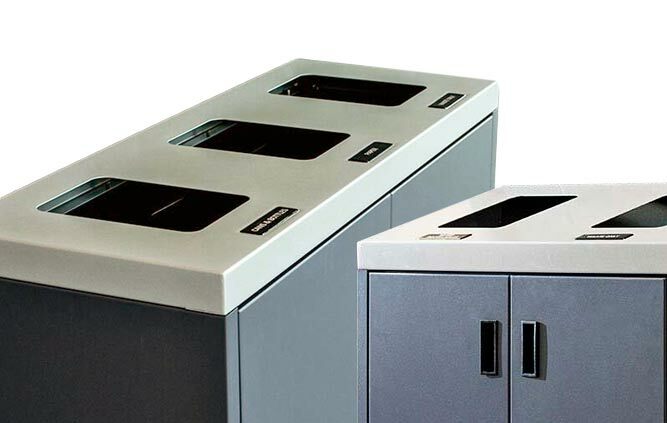 Choose from many top quality finishes, including sleek 304 grade stainless steel, copper, brass, and aluminum. 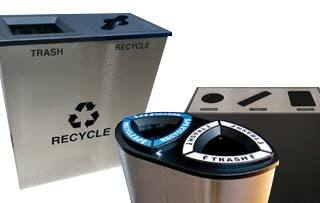 Each metal finish is available in a variety of textures, including polished, antique, directional or non-directional. 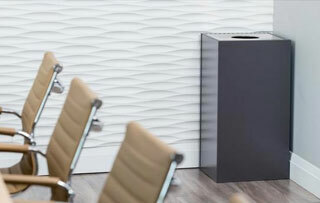 Looking to match existing wood textures throughout your facility? 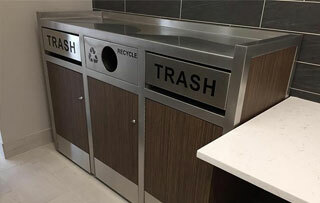 Many of our commercial recycling containers are fully customizable with wood laminate finish that compliments any modern or contemporary decor, including office areas, boardrooms & break rooms.